The FedHealthIT100 honors those individuals recognized for driving change and advancement in the Federal Health Information Technology and Consulting Market. Nominated and chosen by their peers, some common themes among those who were selected include the desire and willingness to challenge conventional wisdom, to go above and beyond, to drive innovation, and to give back to the larger Federal Health IT and Consulting community. Capt. 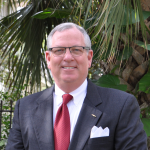 Windom brings valuable perspective and proven experience providing executive leadership and direction for operationalizing EHR priorities across the enterprise. Waltman brings invaluable insight and understanding from his time at VA that will help as the Agency works to implement effective solutions for service members and Veterans. Dan Levenson has been a critical advocate in bringing forward fresh perspectives and processes on building complex software for CMS. Andrea Norris continues to implement the types of innovative solutions and approaches that create real efficiencies across the NIH enterprise. Dawn Halfaker is a staunch advocate for Veterans and Wounded Warriors, serving as a leader for numerous civic, cultural, and business organizations. After a 17-year career at CMS, Stevenson is a valuable partner in support of the CMS mission to ensure Healthcare coverage and quality care for beneficiaries. 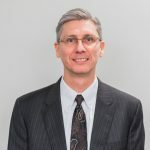 A creative, collaborative champion for Veterans and VA care teams, Dr. Evans is a Health IT enthusiast, innovator, and national VA leader..
Dr. Thompson is a tireless advocate, leader and contributor for Federal efforts to identify and implement national health data standards for interoperability. 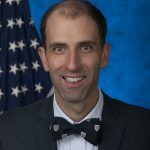 With experience across HHS, to include within NIH and FDA, Milad Bahrami has challenged the conventional wisdom in supporting the modernization of HHS. ... A former CMS executive, Ms. Boughn has a track record and proven commitment to modernizing enterprise Health IT and systems, and improving care coordination, Healthcare delivery, and population health nationwide. Dr. Zenooz has already proven to be an exceptional leader and contributor as an executive overseeing business transformation and change management efforts for the EHRM Program Office. Joe Grace is a natural leader who understands the value of bringing the community together and in driving conversation that results in change. Blackburn helped conceive, design, launch, manage, and lead VA’s ambitious journey to be a world-class service provider and the No. 1 rated customer service Agency. President and Cofounder, Cognitive Medical Systems, Inc. Leading us towards an interoperable learning health system, Morris played an instrumental role in the development of a Shared Nationwide Interoperability Roadmap. With more than two decades experience delivering Healthcare IT solutions across MHS, Frank Tucker serves as a mentor and educator to many in the community. Senior Project Manager, HMS TECHNOLOGIES, INC.
An active member in the Defense Health community, April Nadeau has been leading and advocating for small business for 10 years. Vice President, Federal Health IT, Emagine IT, Inc.
Andrea Wright remains a rising star in our community, serving as a connector, leader and all-around champion for good Federal Health IT. An accomplished leader with over 22 years experience, Wintermute’s dedicated focus on customer service and industry outreach has played a large role in FDA’s success.